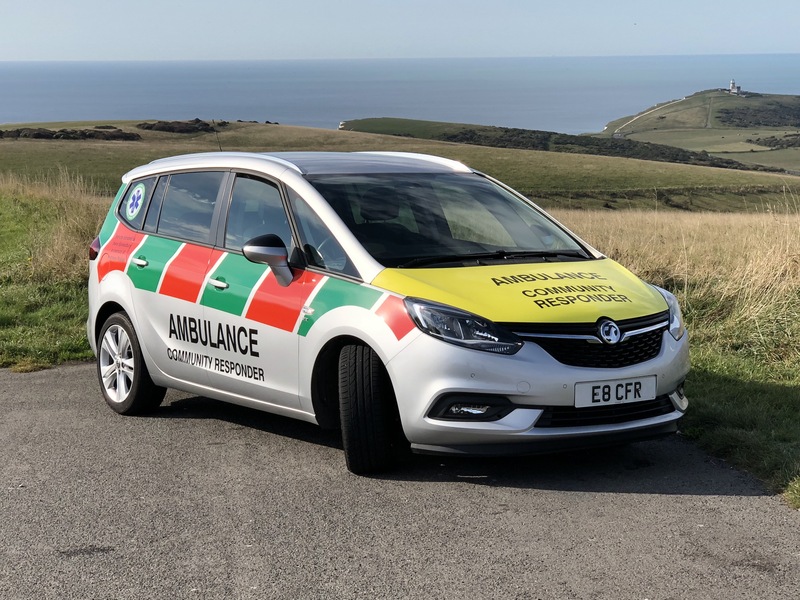 We are volunteers trained and dispatched by the South East Coast Ambulance Service to provide a First Response to 999 emergency calls that are close to where we live or work. The fact that we can be there quickly can be lifesaving. Our task is to manage the situation until the Paramedics arrive and then we form part of the team under their direction. Heart Start Eastbourne provides FREE Emergency Life Support training for individuals, companies, clubs & groups in and around Eastbourne, East Sussex. In just 2 hours you can learn how to save a life. We offer another free course that covers the assessment of a patient, Cardio Pulmonary Resuscitation (CPR) and the use of an Automated External Defibrillator (AED). No training is needed to use an AED but we have found that having the opportunity to use one gives confidence if the necessity arises. Contact info@eastbourneresponders.com for further information. Being a Responder is a very rewarding experience. Please click 'read more' to see more information.. It is always difficult for Responders to find time to assist with fundraising events because of their duty commitments. If you feel able to assist at such events, we would be delighted to welcome you. Most would assume that our equipment would be provided by the Ambulance Service. but our equipment and running costs are paid for through our fundraising efforts, public donations, grants or support from local companies. We can only do the things we do through people like you.